Hello all, new to Simplyshredded but have found the articles to be of great help with my training and nutrition. 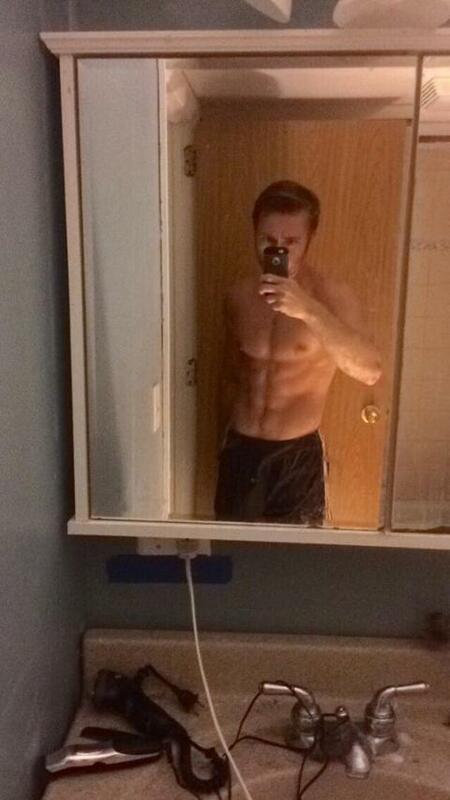 I am 23 years old, 6'3 and ~182lbs. My goal is to reach a weight of 195 - 200 lbs and maintain that weight even following a cut. 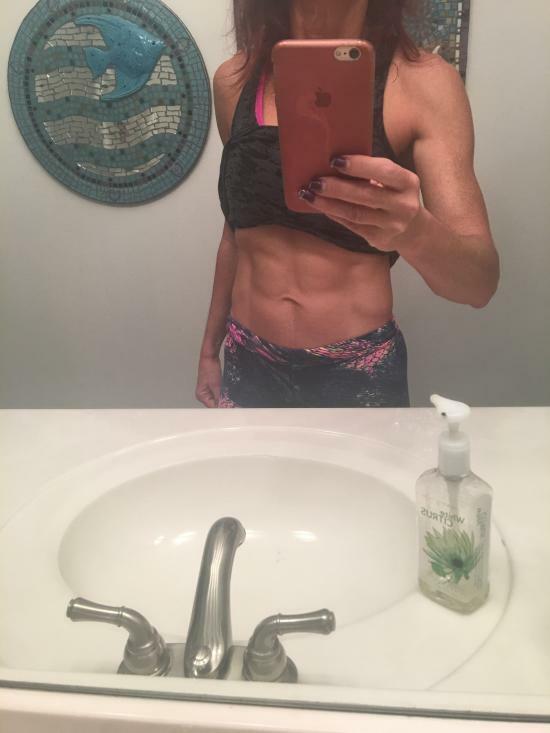 I am still exploring my MACROs to determine what works best for me. Currently intaking a minimum of 300g carbs, 200g protein, and anywhere between 80 - 90g fat but I try to hit at least 3100 calories daily so obviously there are MACROs missing in that equation that are filled in as needed, typically in the carb or protein category. I began PHAT yesterday and will run it until I stop seeing gains. 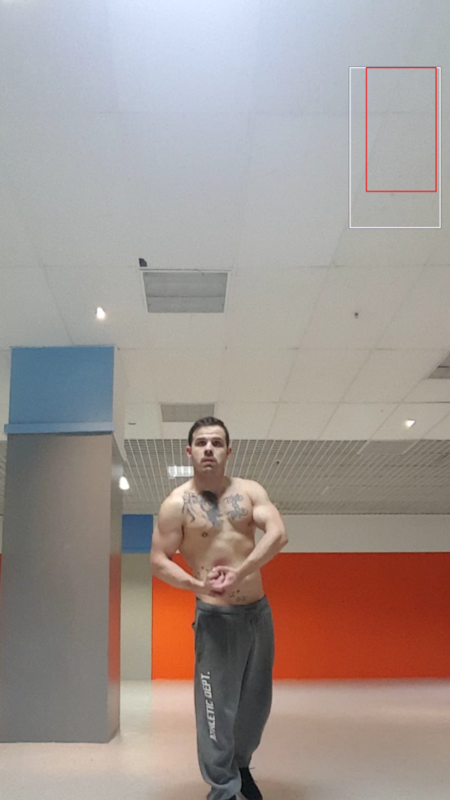 I will keep up with this log and would love any feedback on improvements to diet, routine, weak points in physique. Cool. Welcome to the forum! 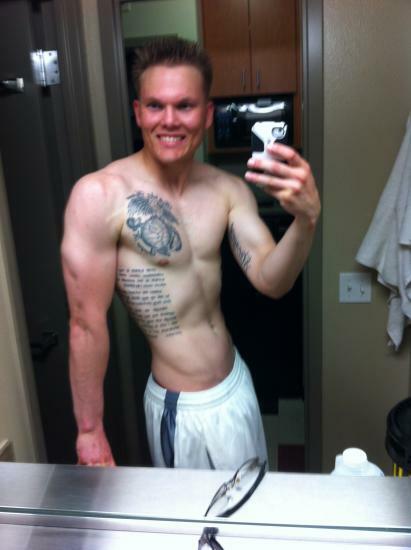 Good luck on this bulk. What are you using to track your macros? Myfitnesspal app on my iPhone. I am in the Marine Corps so its fairly easy since 98% of my meals are prepared by Sodexo I can search it in the app and it gives me all of the information. The app also has a bar code scanner so I can scan in things I buy or my supplement stack too. Yesterday was my first day of PHAT ue to my work schedule I have to rest on Thursday, therefore, I began with Back and Shoulder Hypertrophy on Friday March 1st. I am pretty sure someone is going to say this is too much volume. Please provide any recommendations on what to drop or increase based on my pictures in my profile. THANKS! If you can handle the volume go for it man, just give each group ample time to rest as im positive you will be sore if you're just starting phat. i myself have been running phat for 12 weeks. i've seen incredible results. looks good for the first day! keep it up. P.s. the layout of your pictures looks very similar to my room. i'm assuming pendleton? I ran PHAT in AFG with this amount of volume and it resulted in my avatar pic so I was happy with those results. Since coming back stateside I was pretty much forced to switch to a three day a week GVT split due to the order mandating everyone to PT 5 times a week so my command has us out running for an hour ever morning. I know it will be difficult to gain much doing that much cardio but its worth a shot. 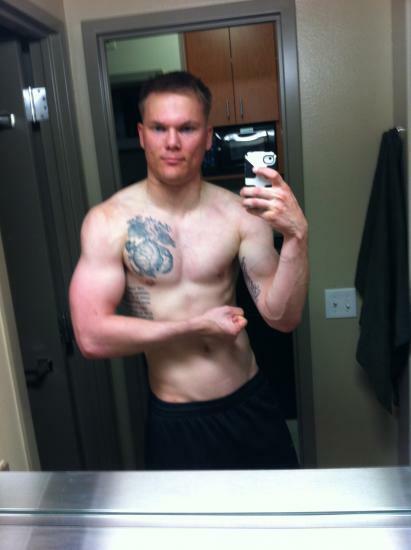 I guess im not so much bulking as i am trying to recomp to like 195. I keep the diet real clean and if im going to miss my carb goal by like 50 or even 100 ill still pass up the donut or whatever because as you know we have certain standards to maintain. Yes Pendleton. well heres the thing. i was in the same situation as you. on the days we run in the mornings i immediately eat right afterwards to keep my energy up for the upcoming hours. and around 11am i will have my preworkout mixed already and drink it. so i go to the gym on my lunch hours 11-12/1230 typically. even if your doing cardio 5 times a week, as long as you keep at a calorie surplus you are golden. and you will keep the gains coming. and in the end it should help out even more imo. just because you pt in the morning doesn't mean you cant go to the gym in the afternoon or evening. Oh i still go to the gym i never miss a workout even when im home. (GF hates that one) Yeah I will slowly increase my calories because im almost certain the 3100 i average is not enough. I will keep logging and see where i end up! let me ask you this, how far do you squat down on your hyper days? ALl the Big Dogs on this use it, very helpful. I'm about ur size 6'3.5" 194lbs eating 3550cals on a bulk with 80g fat, 488g carbs, 222g pro. Ur doing a lot more cardio than me so ur definately going to need to up them carbs my man. Starting PHAT in the summer. Doin a version of L/P/P now and loving it. I'll be viewing this log for sure. ps GF's that dont go to the gym HATE the gym, but they love our results. (Trharrison) I go parallel if not further. I am not a "bro" at the gym doing those 315lb 1/4 squats. i played college football so technique was critical and demanded by the coaching staff. custom shake with 2 scoops glycomaize and two scoops on gold standard whey, one scoop modern bcaa, 5g creatine. before bed ill take on casein if i need the calories or protein to meet my goal but usually its the carbs im falling incredibly short on. A carb is a carb man. If u look at @alexmuller.. he's got logs on this, youtube, and on myfitnesspal and he uses white rice all the time no matter when... and he's a BEAST, low BF too. if u can get ur hands on it eat it man and record it... keep the sugar carbs relatively low and u'll be fine dont get caught in the world of GI like i used to. Felt like a pretty good workout. Completed in less than 60 minutes for very high volume IMO so hope that pays off somehow. Lets hear some feedback? Great upper body power workout today! Only problem was I took my PWO (NO2 Hemo Surge) and my forearms were so pumped after I did my DB Bench it was almost uncomfortable. I had to continously shake them out for the remainder of the workout. Also some bad news, two days in a row it looks like I will be a little short on my caloric goal of 3400 calories. Both days it was around 350 calories which is typically the minimum you would want to add to your maintenance weight to begin gaining. Going to try and pick it up these next few days. I'd stop taking that PWO man, sounds ridiculous. Shouldnt be getting those kind of symptoms off a PWO anyway, let alone from just doin some benching. Fireman that PWO apparently has done that to a few people from what ive read online. I did upper hypertrophy so before i did the bench i was doing back so the pulling probably pumped my forearms. Hit my calorie goal for today! Although i weighed in with a different shirt than normal the scale showed dramatic improvement to 187. realistically i am guessing 185 as my true body weight which is about a 1 lb increase in about a week. Really ? And people still use it... sounds a bit extreme !! So I ran out of GlycoMaize two days ago and have just decided to fill that carb void with a slightly lenient diet. The past two days I have basically "carbed up" pretty hard consuming a few slices of pizza, a bacon cheeseburger and some sweet potato fries etc. On the positive side I just weighed in at 186.4! which is incredible because i havnt seen that weight yet. obviously that weight is probably water retention and hopefully not much fat, certainly none im noticing in the mirror so im content. i should have my hands on universal real gains by monday so i will go back to a more strict carb intake once i have those carbs post workout. Workout completed right at an hour so I was taking VERY short rests and loving it. I prefer to superset the body opposite body parts being worked on hypertrophy days because i become mentally consumed with my workout and nothing around me is even noticed. LOVE IT! Side note. I dont have a workout partner. How do you guys think that plays into pushing ones self? If i ever need spot i just grab some random but im starting to feel like if i had a spotter id go harder. Tipping the scale at 188 today! Since ive put on those four pounds in about a week im going to cycle two days of low carb to prevent the weight i gain from being purely fat. i read about the cyclic bulking on this site so ill give it two days of lower and slower carbs and then ill get back at it. I saw someone doing heel elevated squats towards the end of my workout and decided to put 135 on my back and try a few of them. What is it isolating more? the glutes or quads? I loved the feeling so i may do these on the hyper days and regular squat on the power days. whats your thoughts? Missed a few logs because the site wouldnt grant me access for some reason but i did NOT miss those workouts i can assure you that! Today was a great back and shoulder hyper for me. Also got my new supps in. Started taking Universal Real Gains which im loving so far. Con cret, Animal Test, and back on Jack3d which is incredible as always lol. pretty curious to see how Animal Test affects me because ive taken Animal Stak before and it was by far the best test booster/supplement ive ever taken. Also this is my first time taking any kind of "weight gainer" so i am interested to see what kind of affect that has on me. Forgot to mention my weight! I am holding steady at ~187 lbs which is a 6 lbs increase since 2 March 2013 when I weighed in at ~181. How am i coming along? I am not noticing a difference in waist size; however, some of my jeans are tighter in the thighs because my hammies are growing! I really loved squating a lower weight for that many reps. I am beginning to question if my legs would respond better to working in the 12 - 15 rep range more often. i might keep doing leg press for the speed work and squating high reps on the hyper days. Ill still do the squat on power days though because i am aware that truly builds total body strength.